Dr. Bryce Gates, a new and popular dentist in McKinney, TX gives back to the community by hosting a complimentary seminar designed to educate people on the benefits of dental implants when considering them as an option to replace missing teeth. Experienced local dental implant dentist Dr. Bryce Gates, will hold a complimentary dental implant seminar at his practice on Thursday, March 31, 2016. The purpose of this seminar is to provide people in the McKinney and Frisco community with an avenue to learn more about dental implants as a treatment option before deciding what is best for them. “Dental Implants are a fabulous treatment option for people with gum disease, broken teeth, or missing teeth… but everyone should fully understand the process and know the important questions to ask before moving forward,” says Gates. Each attendee of the implant seminar will also receive a $250 gift card to be used towards a dental implant treatment. One fortunate attendee will also win a free dental implant. Seating for the seminar is limited and is filling quickly. Those interested in attending Dr. Gates’ dental implant seminar and learn more for this experienced dentist in McKinney, TX, should call (469) 452-2033 to reserve their seat today, seating is extremely limited. 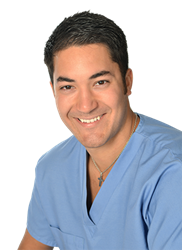 Dr. Bryce Gates is a general dentist offering personalized dental care to patients in McKinney, TX. Dr. Gates believes that a patient's treatment begins with actively listening to each patient and completing a thorough examination. Dr. Gates and his entire team take pride in offering the latest advancements in dentistry and dental technology to ensure they provide the highest level of care to each patient. Dr. Gates is experienced in a variety of areas in dentistry including cosmetic dentistry, implant dentistry, restorative dentistry as well as surgical treatments and conscious sedation. To learn more about Dr. Gates or the services he offers, please visit his website at http://www.thedentistofmckinney.com or call his office at (469) 452-2033 to schedule an appointment.